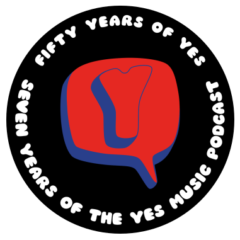 The sixth episode of the Yes Music Podcast featuring the sixth album, ‘Tales from Topographic Oceans’. What difference does new drummer, Alan White, make? What is the connection between Tales, opera and Church music? Should anyone be expected to listen to the whole of Tales from Topographic Oceans? Thanks Ken. You are absolutely correct. One of my frequent errors! I think I corrected it in a later episode. Anyway, so glad you are enjoying the episodes. It must have been a thrill to see those paintings in the flesh. I’m jealous! Previous Previous post: Technology and music – always a good thing?